Get the latest Fiat Fullback lease deals from Intelligent Van Leasing. We offer some of the best value deals in the UK on new Fullback vans for your business. All our lease contracts include free delivery to the UK mainland, a manufacturer’s warranty, road tax, phone support and optional vehicle maintenance packages. 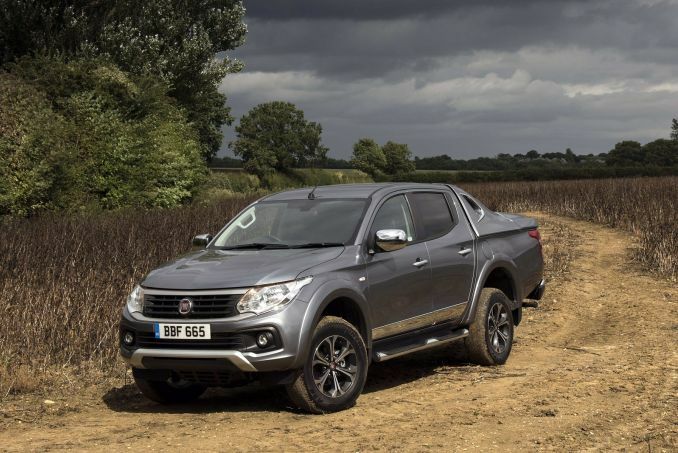 Business contract hire on a new Fiat Fullback is available to sole traders, partnerships, limited companies or any individual self-employed business person. Now you know you are eligible, feast your eyes on the website where we have listed the vehicles in cost order, helping you to make the most informed choice for your business. Mileage limits are present on van lease deals whether for private or business usage-they are a fact of life. But we realise that anticipating your work mileage ahead can be tricky. Rather than incur a penalty for exceeding the limit in your contract, why not chat to our helpful team who can explore the available options with you and hopefully save you money. Insurance is the one thing our comprehensive lease deals don’t include. We feel that each individual business will be able to source the best deal for their particular circumstances and at the most competitive price. Insurance needs to be up and running just before your new Fiat arrives. Talk to our advice team and find out what our optional maintenance package includes. It covers repairs and some replacement parts not all, so be informed. You can easily opt for this as an add on, if you don’t, then you will be responsible for all the routine maintenance and repair costs on your new vehicle.